The awards criteria focuses on results (quality and performance), skills, (teamwork, collaboration, innovation and creativity) and values (community and environmental awareness). 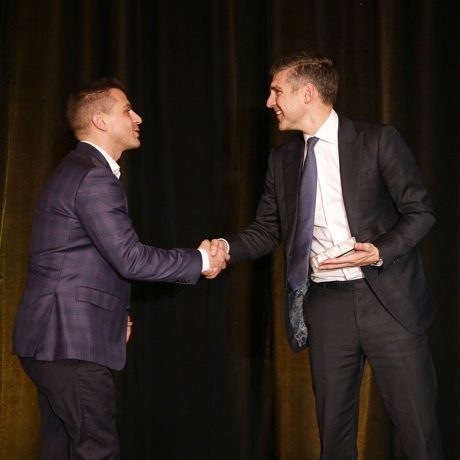 The following finalists of the 2nd Annual Real estate Excellence Awards Competition, are deserving of the industry’s recognition for their leadership and innovation. Winners will be announced at the awards gala in the fall of 2018. Avison Young Commercial Real Estate / AGC Building Ltd. c/o Ronmor Holdings Inc. / ISL Engineering and Land Services Ltd.
Brookfield Property Partners / Brookfield Properties Canada Management LP / Arney Fender Katsalidis / DIALOG / EllisDon Constructions Inc.
QuadReal Property Group LP / Amazon Canada Fulfillment Services Inc.
Hyatt Auto Sales Ltd. / Target Realty Corp.